The magnetism of the ocean basins and its interpretation in terms of seafloor spreading and the reversal history of Earth's magnetic field provides one of the cornerstones of the theory of plate tectonics. 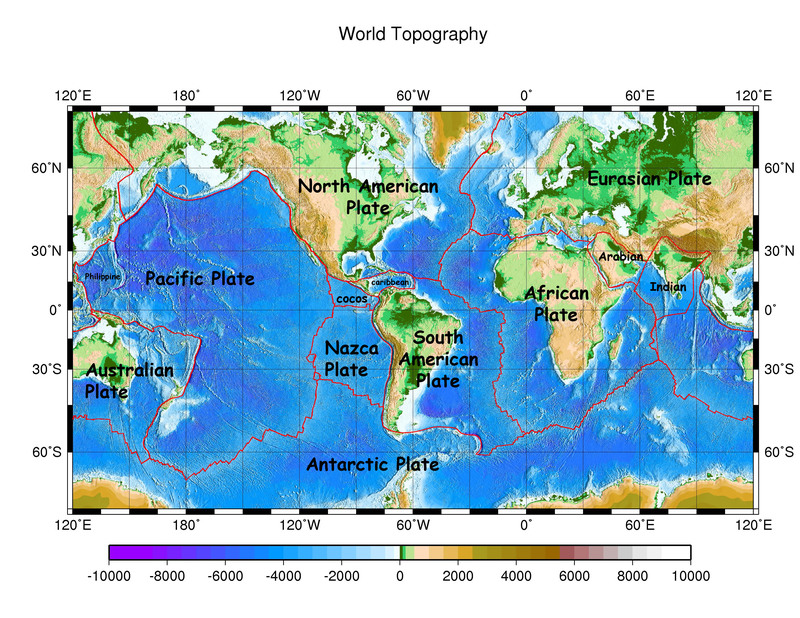 Plate tectonic theory contends that the earth's crust is composed of a number of plates that move over the surface of the planet. The oceanic plates are created at midocean ridges and are subsequently consumed at the major oceanic trenches. Continental crust appears to be "pushed" around by these oceanic plates. 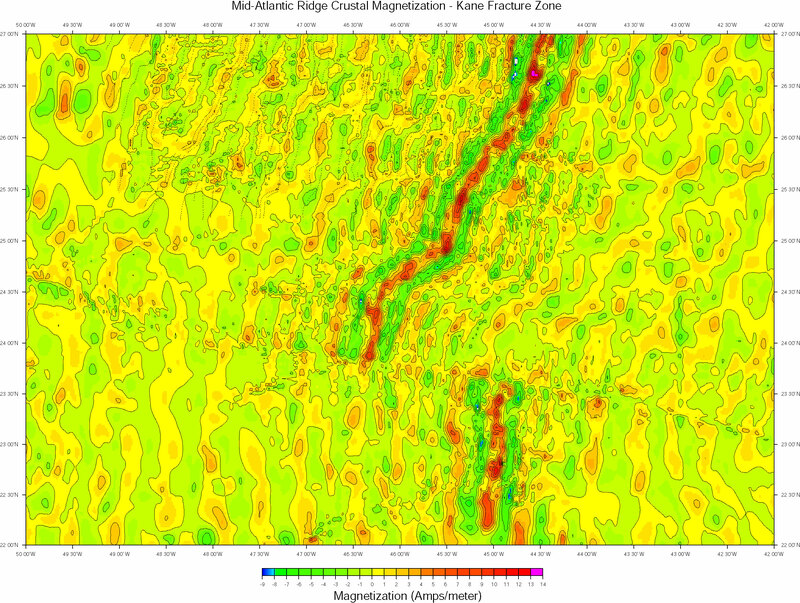 Magnetism plays a key role in understanding the timing of these plate motions. As ocean crust is created at a midocean ridge, the hot lavas cool and the magnetic minerals within the lavas permanently "freeze" in the direction and intensity of the earth's magnetic field at that time. As the plate slowly moves this crust away from the midocean ridge crest this magnetic record is preserved. We also know that the earth's magnetic field has reversed in polarity in a random fashion but with an average periodicity of about 400,000 years. Our last major reversal was 780,000 years ago when Earth's magnetic North Pole was at Earth's geographic South Pole. The Geomagnetic Polarity Time-Scale (GPTS) has been constructed for the last 150 Million years based on the magnetic anomalies measured from the oceanic plates. Magnetic studies here at Woods Hole can be subdivided either by geographic area or by technique.